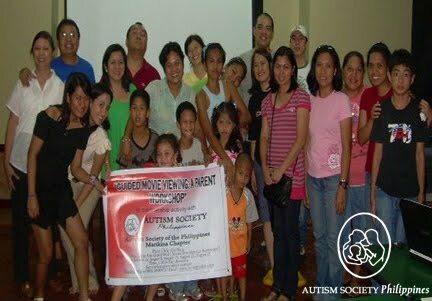 In talks and lectures on autism for parents, teachers and therapists, this columnist always puts emphasis on homeschool partnership because no matter how good the teacher is, the education program for the child with autism (CWA) will be affected by how it will be implemented or generalized at home. Education at home is the domain of parents. However, since parents are emotionally-attached to their own children with special needs, it is not enough that teachers educate parents on teaching strategies. 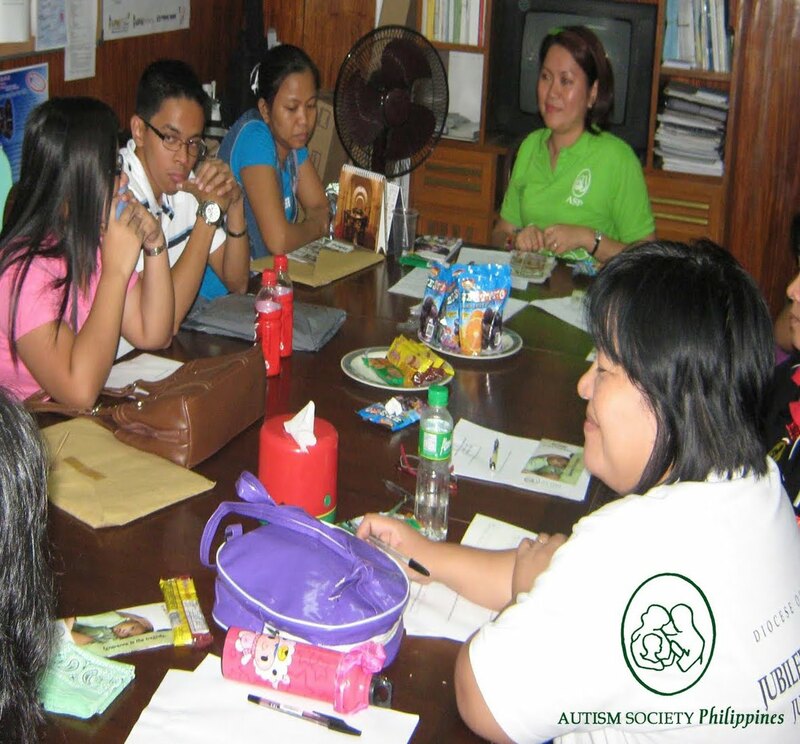 Our regular Angel Talker Tiffany Tan, board secretary of Autism Society Philippines (ASP) and mother of JR, a junior college student with autism, has compiled experiences of several Filipino parents on how they take care of themselves while attending to the educational and other needs of their CWA. Joining a support group gives the parent-teacher a chance to talk to other people who are going through the same experiences. Parents of newly diagnosed CWA can also pick up time-tested tips from veteran parent-participants. ASP offers free monthly family support group meetings to parents and caregivers. Another advantage of having a support group is getting information on autism or referral services, such as on schools, therapy centers, or even doctors or therapists. 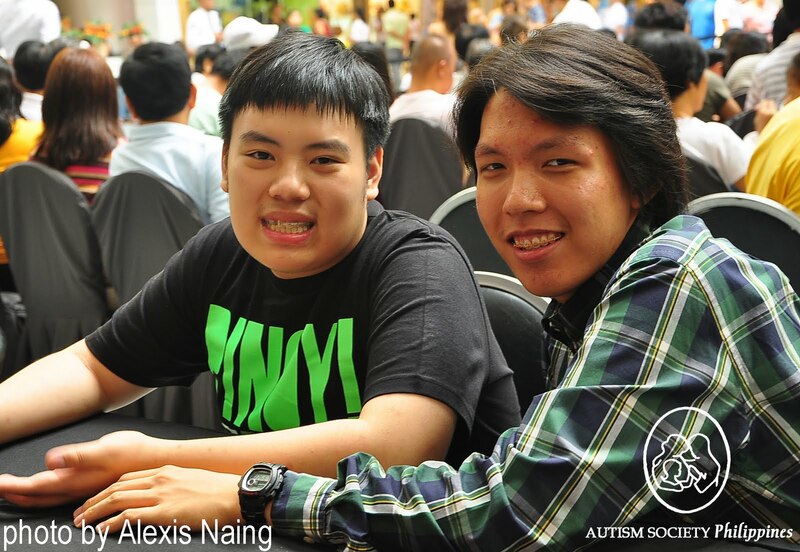 “I discovered that the more I share my experiences to others, acceptance of Adrian became a lot easier and my own recovery, quicker,” said Grace Adviento who admits that her joining the monthly support group led her to become a strong advocate for autism. Grace now heads ASP as the new national president. Writing can also be a good outlet for parents. Gina Bermudo, ASP trustee and parent to two boys with autism, found writing to be therapeutic. It also led her to the unexpected. “One day, the air-conditioner of one of the therapy centers was out of order. I went out of the waiting area and found myself under a tree at the parking lot. I searched my bag for something that will keep me busy, but all I found was a pen and a tissue paper. I started to write my thoughts randomly, then, ideas started to pour in. After a while, things started to make sense,” Gina recounted. From tissue paper, Gina moved her nuggets on parenting to a collection of poetry and short stories on her children’s therapy, doctor visits, progress reports, and even biomedical interventions. 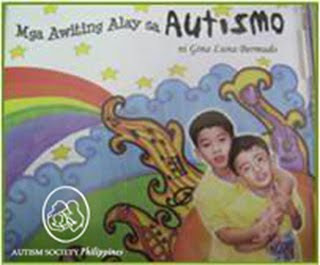 Some of her writings are compiled into “Mga Awiting Alay sa Autismo,” a CD collection of a mother’s heart’s songs for autism. Gina’s CD includes “Kaya Ko Rin” which was made into MTV for ASP’s 10th National Conference on Autism, and “Why God”, one of the most requested songs during ASP events. Her CD was also mentioned and featured in Forum Asia Magazine of LA, California USA. 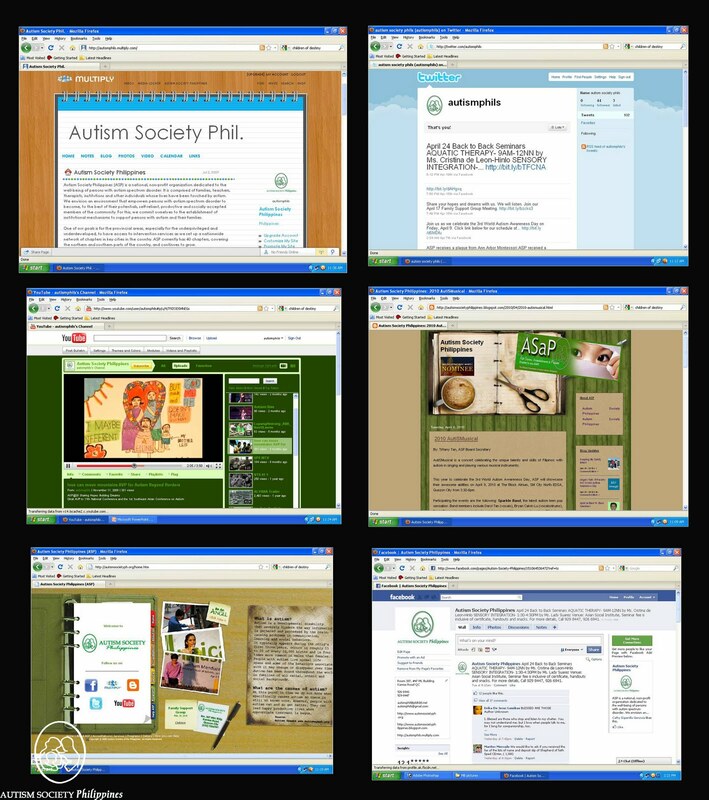 As the numbers on autism rise, families dealing with autism turn to the internet for more information and support. Blogging or online journaling has becoming popular. Blogs also allow family members and friends to gain new insights on autism and exchange ideas through the comments section, and networking. Some family members choose to blog about their experiences. Missing Carlo is a blog created by a sibling to post her daily random thoughts on her autistic brother. Other moms like ASP trustee and “techie mom” Cris Estampador (eclectic journals) and Pinky Cuaycong (okasaneko chronicles) also keep a steady journal about their travails and triumphs with autism. Autism Society Philippines’ daily e-newsletter ASaP, was moved to a blog format. The blog also features parenting tips, local news on autism, and activities around the country. 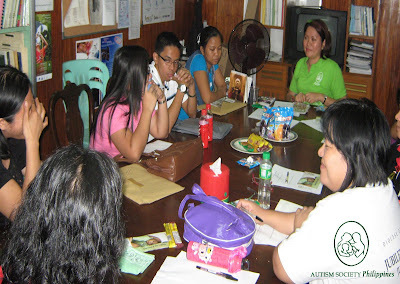 ASP’s blog was also awarded Best Advocacy Blog of 2010” by the Philippine Blog Awards. Insta-messaging through Twitter allows users to post their shout-outs. Other social networking sites such as Facebook, Twitter, Multiply, Yahoo groups and even YouTube, etc. can offer millions of information. However, the internet is not safe from misinformation, so users are cautioned to check if the information they get about autism is reliable, useful/helpful, and relevant to the needs of their child with autism and their particular needs. If you are old fashioned and don’t care for the high tech stuff, but value the art of reading, visit the ASP library. There are hundreds of books about autism. Members can use the library for free. You can also try swapping your books with other moms who own books on autism. Organize a book club with them and meet on a regular basis. This can be your own support group. How about organizing a guided movie viewing? ASP Marikina chapter president Alex Cabason has organized a series of movie viewing for some of his members. The selected movies focused on autism. After each film, members openly share their reactions and insights on the film and contribute their own experiences in parenting children with autism. ASP has a video library of educational films, movies and short documentaries on autism, such as HBO’s latest biopic on “Temple Grandin”, award-winning Australian film “Black Balloon”, Sigourney Weaver’s “Snow Cake”, the classic “Rain Man,” and our first Filipino movie dealing on autism “Ipagpatawad Mo.” These movies offer different perspectives on dealing with autism, parenting, sibling struggles, and advocacy. Allow yourself to spend some time away from autism. Have a cup of coffee, watch a movie with a friend, read a book, take a walk around the park, or go window-shopping. Having an alone time may also work wonders. “During the day, I give all my time to my two special kids, without compromise. My schedule revolves around theirs. Facing those daily tasks can be overwhelming. So in between schedules, I have short breaks, even for a few minutes. This helps me condition myself mentally and physically. Then, I am recharged for the next activity or challenge,” says Gina. When my son JR was younger, I would hang the “mom’s time out” sign by my bedroom. I explained to him that mommy also needed to rest because mommy was tired, but would be right back to be with him in a few minutes. You can also try taking a photo of you taking a nap. This will indicate to your child with autism that mommy also needs a short break from her busy schedule. Of course, make sure the child is left with the older sibling or responsible adult. Please don’t feel guilty about having “alone time” for yourself. You will feel renewed and be better prepared to make better decisions and more able to deal with your child. Do you need help in cooking so you can spend time reading your child’s IEP? How about picking up a few grocery items at the store? My son JR and his friend Bryan used to study in the same school and had after-school activities. Bryan’s mother and I scheduled carpool by swapping schedules every other week. Carpooling also made us work around our schedules so we could have time to do other things. It was both economical and sensible. Carpooling also helped our sons learn how to keep time, foster social skills (because of the same activities they had together). As a bonus, our sons became best friends. Use whatever support is available. Family members, a good friend or neighbor will not hesitate to extend a helping hand. People may want to help, but may not know how. Don’t hesitate to holler. “We pray for patience. We pray for provision of a stable and happy environment. We pray for strength to face the challenges with open arms. We pray for guidance to take the right path in everything we do. In the most trying times, I feel like giving up. My faith has sustained me. The Son of God suffered for me. Who am I to complain?” writes Gina. We need a higher power to sustain us in trying times. Many parents have shared that faith helps them surrender their worries and problems to God through prayer. Children of Destiny is a Christian organization dedicated to ministering God’s hope, life, and restoration to families struggling with autism or related disorders, free of charge. They have a downloadable file called Turning the Tide, which contains a corporate prayer thrust for issues related to autism for each day of the month of April, which is Autism Awareness Month. 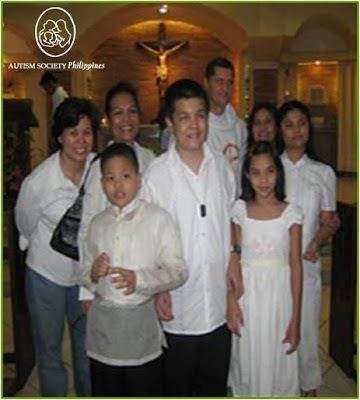 Talk to your church pastor or priest to ask for accommodations for children with autism. Sunday schools or youth groups may also offer special lessons in a small group setting to accommodate specific or special needs. It is good to also volunteer your own services in the church where you worship, like offer to be the teacher aide in your child’s class, or custodian for Sunday school materials, or offer to distribute snacks to kids. You may also involve older children with autism in church, like volunteering for them to arrange chairs in the fellowship, set up the computer and sound system, or join the worship leader during singing, or play musical instruments. Again, it will all depend on the child’s skill and the willingness of the church to accommodate your children’s needs.